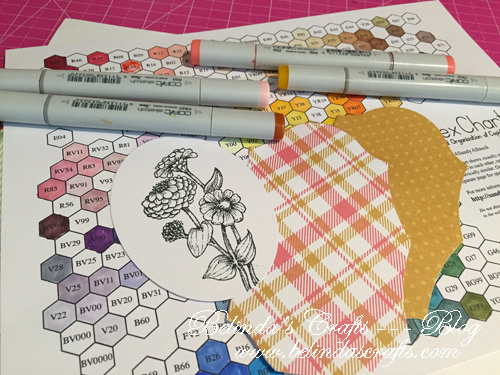 Do you remember the coloring challenge I participated in back in March? Well if you do, it’s back!! Kathy at The Daily Marker is at it again. She hosted the challenge in March and now she’s at it again for June. As you all know, my life is very crazy right now so I am trying to dial it back so I can get back to what I enjoy doing – my crafts. The Challenge begins today and ends on June 30th. All I have to do is spend a minimum of 5 minutes and color each day then share what I am creating. They don’t have to be finished cards or projects, just coloring. I like this because for me it takes the pressure off and let’s me play. So on some days I might have something complete and on others you will just see what I’m playing with. I will mostly be using my Copics, but I will also use my watercolor paint, watercolor pencils and distress markers from time to time. I hope by blogging and putting my stuff on Instagram, I will stay honest to the task. To find out more if you would like to participate you should click here. Having said all that, the last challenge I went strong for 11 days straight then things got wonky and then I picked up day 16-22 and then I fell off. So I aim to do better and that might not be all the way to 30 days or it might be. Let’s just see what happens. I have jury duty this month, I wonder if I could bring my markers on that day? hee hee. So today I managed to squeeze a little time in to color up an image for a magnetic bookmark I wanted to make. I used an image from an old Flourishes stamp I have. I really miss that company. They had amazing stamps. They are so pretty you don’t even have to color them. 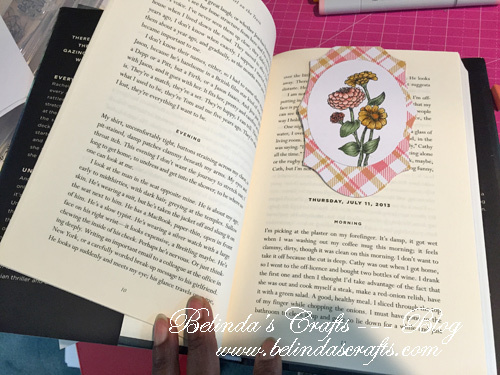 I saw instructions for using dies to make a magnetic bookmark and took out some of my dies to find the right size. 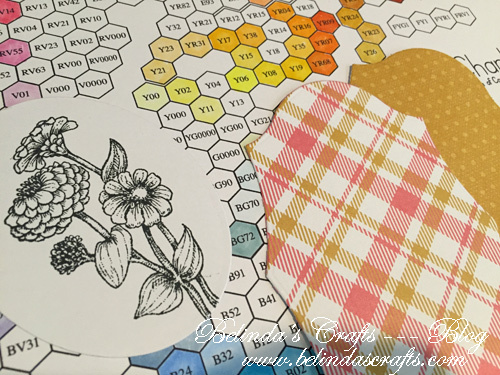 This is the second time I am using my new Hex Chart from Sandy Allnock. It really is a great way to find the colors for my projects. It shows you how different colors relate very different from the Copic color chart. I like having both but am definitely seeing the benefit of having this one. I will write more about it as I use it for more projects. I can also easily see what I really need and what can wait when I look at the chart. Since we all know, Copics are an investment (nice way of saying expensive!!). I followed the instructions and adhered the magnets before attaching the patterned paper. 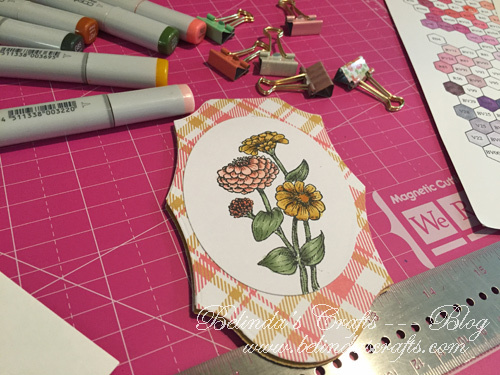 I love Zinnias so this stamp makes me happy. Now I can see it every time I open my book. I think I will use a stronger magnet next time. This one isn’t as strong as I would like. Well day one is complete. I won’t always be able to complete a project but I will try to stick to coloring a minimum of 10 minutes and try to keep up with posting it this time around. I post on Instagram too so I need to figure out an efficient process so not as to make this work instead of play. I hope you find 10 minutes today to color. It’s not just for kids!! Have a blessed night and I will be back tomorrow with day 2.